North Korea's Kim Jong Un is "little rocket man" no more. President Donald Trump isn't a "mentally deranged U.S. dotard." In the year since Trump's searing, debut U.N. speech fueled fears of nuclear conflict with North Korea, the two leaders have turned from threats to flattery. 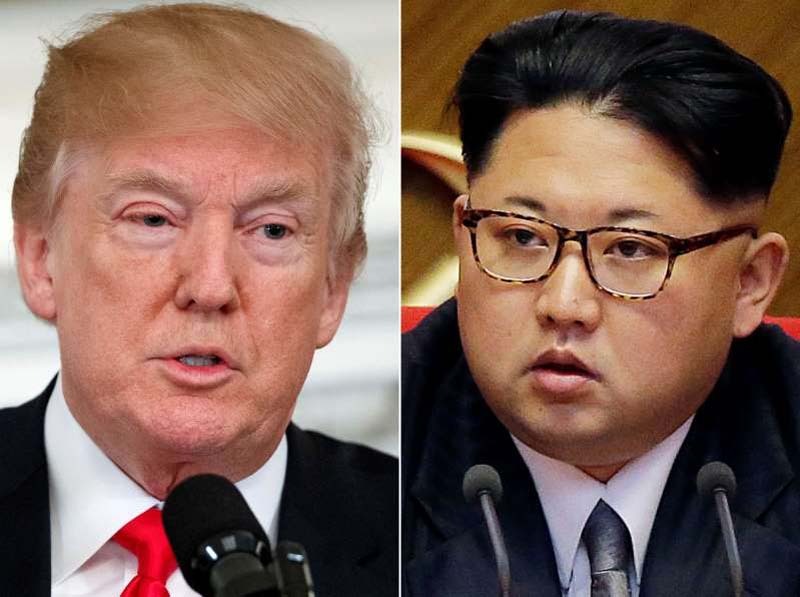 And there's fresh hope that the U.S. president's abrupt shift from coercion to negotiation can yield results in getting Kim to halt, if not abandon, his nuclear weapons program. Trump will address world leaders at the United Nations on Tuesday on the back of an upbeat summit between South and North Korea, where Kim promised to dismantle a major rocket launch site and the North's main nuclear complex at Nyongbyon if it gets some incentive from Washington. "If someone had told me last year that North Korea will stop nuclear tests, will stop missile tests and that they will release the remaining American prisoners and that they would be even considering dismantling Nyongbyon, I would have taken that in a heartbeat," said Joseph Yun, who resigned in March and has since left the U.S. foreign service. Since Trump and Kim held the first summit between U.S. and North Korean leaders in Singapore in June, Trump has missed no chance to praise "Chairman Kim," and Kim has expressed "trust and confidence" in the American president he once branded "senile." Although Kim won't be going to New York next week, meetings there could prove critical in deciding whether a second Trump-Kim summit will take place any time soon. Yun, who spoke to reporters Friday at the United States Institute for Peace in Washington, said the U.S. goal of achieving denuclearization in just two years is unrealistic, but closing Nyongbyon, where the North has plutonium, uranium and nuclear reprocessing facilities, is significant and offers a way forward. That's a far cry from last September. After Trump's thunderous speech, Yun's first thought was on the need to avoid a war. The president vowed to "totally destroy North Korea" if the U.S. was forced to defend itself or its allies against the North's nukes. "Rocket man is on a suicide mission for himself and his regime," the president said. His blunt talk triggered an extraordinary, almost surreal, exchange of insults. Kim issued a harshly worded statement from Pyongyang, dubbing the thin-skinned Trump a "mentally deranged U.S. dotard." A day later, the North's top diplomat warned it could test explode a hydrogen bomb over the Pacific Ocean. All that will increase pressure on Washington to compromise with Pyongyang — providing the incentives Kim seeks, even if the weapons capabilities he's amassed violate international law. He's likely eying a declaration on formally ending the Korean War as a marker of reduced U.S. "hostility" and sanctions relief. Frank Aum, a former senior Pentagon adviser on North Korea, warned tensions could spike again if the U.S. does not see progress by year's end, when the U.S. would typically need to start planning large-scale military drills with South Korea that North Korea views as war preparations. Trump decided to cancel drills this summer as a concession to Kim. "Things can flip pretty quickly," Aum said. "We've seen it going from bad to good and it could fairly quickly go back to the bad again."